I selected this prompt LOVE because of the date being close to Valentine’s Day. 14th February. 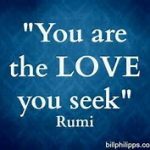 Then I have wondered ‘what is love?’ And I got many answers but in the end I have decided to take a varied approach to this prompt and instead of making only a declaration of LOVE to my husband (of course I love him) I would also post some memes and quotes I LOVE. On occasion I have given my hub (and kids) cards. I have also made crafty things with classes and grandkids but my belief is that love needs to be appreciated and shown each day. I did some research though, about Valentine’s Day if you want to know more. I associate these with love as do many people. I liked these images. I tend to see hearts in nature and make a heart shape when I am doodling in art. Neither are my images, sadly. I’ve been struggling with aspects of this and I am certain I am not alone. I researched some quotes and liked these ones as I saw them apply to me. By the way, self-love for me is about self-acceptance…no matter what is ‘wrong’ or not going well, so this is my learning journey!! Love of and for My Husband. We talked about this earlier as I was preparing to write. I fell in love with him, and vice versa, over 46 years ago. Love HAS kept us together when many things went wrong. I have struggled to like aspects of him from time to time as he has with me, but we both agree that LOVE has never changed and it is WHY we are still (and will be until parted by death) in LOVE. This poem from many a wedding we have attended is wonderful. It was not part of our ceremony but the essence of it was. 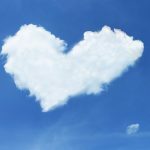 I wish you LOVE….today and always…thank you for reading this blog, commenting and linking up too! Here are the rules for the link-up “Life This Week” is a link up that runs every Monday and remains live for until Thursday at 5 p.m.during that week. * You can link up something old or new, just come on in. * Please add just ONE post each week! * Feel free to go with the prompt for the week to add your ‘take’ on the prompt. Or not. 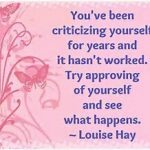 * Please do stay to comment on my post as I always reply and it’s a bloggy thing to do! * Check out what others are up to by leaving a comment because we all love our comments, right! * Add a link back to this blog in your post somewhere. I don’t have a ‘button’ so a link in text is fine! * THANK you for linking up today! Do come back next week. Next week’s prompt is “A Pet Story”. I always link here too on Mondays: Alicia for Open Slather and Kell for Mummy Mondays. Do you? Yes, so true. It keeps us going when all the tough things happen. It’s a base to always land on. LOVE. Thanks Lydia! I am such a ‘noticer’ being highly visually oriented. I love finding shapes and messages all around me. I look forward to reading your post tomorrow too as I guess it is IBOT-bound! Oh I so agree. We too are each other’s best friends. However, on days of disagreements when “he and I” do…then there are aspects that can be unlikeable. These are becoming less and less as the years go on. We are now living 24/7 with each other as we have retired and have fewer interactions with others. It is the first time in our long marriage that we have had this luxury and we are learning to enjoy it very much! I have Drew Barrymore’s book Find It In Everything – it’s filled with photos of love hearts she’s found in everyday items. I love it! Oh I LOVE that book’s message and so will check it out. Thanks Di! This was a really interesting read for me, since I struggle a bit with aspects of relationships in general. I appreciated the sentence about not necessarily like an aspect of a person at times, but that doesn’t mean that you don’t still love them. I often wonder if we’ve complicated the world, and love, with technology and comparing ourselves to others. I am so hearing you on comparisons! They bring my mood (and me) and me down for sure. I have to kick it to the kerb. I realised the other day one of the worst comparisons I do is ‘me, of older/younger days’. I have to stop. It was making me sad and anxious. Have you ever checked out the work of Dr John Gottman? Fascinating research on relationships and whether they ‘stand the test of time and all that’. The Gottman Institute is US-based. My dad is the same with the younger/older comparison. He thinks he should still be able to do the things he was doing when he was 25. Except he’s 65 now and suffering from a life of manual labour so it makes sense that he can’t do a lot of stuff that he used to. Very hard to adjust and I imagine as your Dad sees the younger generation doing what he could there is a sense of loss. 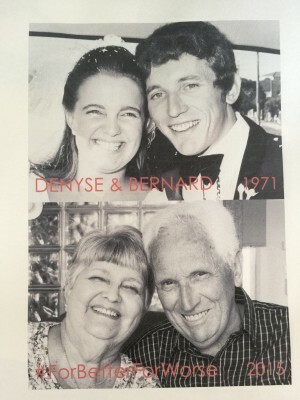 What a beautiful tribute to love and Valentine’s Day, Denyse. I’m not a V Day person myself and it was lovely to read about all the facets of love in your post beyond the romantic form. Thanks so much SSG. 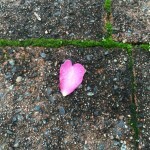 I did pay some attention to it as I said in the past, but LOVE is all around us and is not always about romance is it? Mind you, it can be off putting seeing those who go for the ‘guilt’ and have flower stalls along the roads tomorrow! Thank you Sue. What a kind and LOVEly comment for make my morning! I wish you a week of great self-care. My husband and I (sounds royal!) are doing more of this and feeling the better for it. Thanks Alicia. I have always loved it and usually only think of the shortened verse. It would look awesome printed and then framed with one of your great works you are working on now. If it’s on display then you (and he and the kids) will also read and remember it! Self-love is my goal too. We need a group!! My love and Valentine’s Day is focused towards my children and I like it this way!?! That’s awesome Kerrie! LOVEly message! I’m finally linking up. Properly. 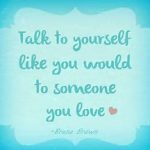 I love this – particularly your comments about self-love AND the need to work on your relationship with your husband, even after so long! LOVE seeing you here, of course, on time or early or late. 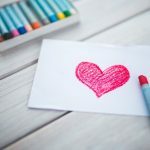 I took some time to think this post through because I could have made it all about LOVE and who I love and then I thought no, I am not being true to myself. So, that’s how the post wrote itself. Being with each other 24/7 in this retirement world and living away from what used to be distractions has made us adjust. I have had enormous challenges and he has been incredibly PATIENT…and KIND..which were the words of the biblical verse I know I needed to include. I doubt there is another human being on Earth, besides Mick, who would have put up with all my weird ways for 22 years. I’ve been very lucky to always have people in my life who love me, even when I’m not very lovable. Love is everything. I’m still working on the self-love thing, too. Sigh. And we still have a lot of catching up to do to get 46 years! Love all your thoughts about love. Thank you Ness. I feel the same way about my husband. I am sure though, that they would agree that WE contribute much to their lives and happiness too. Being best friends is part of the deal, along with that better or worse part of the marriage vows. 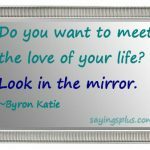 Self-love…as I said to another commenter..we need a support group!! I think a lot of people expect they will grow and change at the same pace and that’s just never going to happen. Accepting that you will both be in different places/stages soemtimes I think is very helpful. Yes, so true. We are only 9 months apart chronologically but have had completely different upbringings (me – I am one of 2 kids, he – one of 13 kids) for a start. We are opposite in personalities and that works for us. We are each other’s best friends and still feel that ‘spark of love’ when we see each other after a time away. What I can be slack about, and need to be careful of, is taking him for granted. So, I am continuing to learn kindness towards him even when I feel not so kind. That’s because I struggle with being kind to me! Thanks Kell, it is true. Each of us would struggle to define it so use words which work for us. Much appreciate your kind words too. Love for me has changed over time and is different with different people. I totally agree that love needs to be shown and appreciated every day not just once a year! Thanks Ingrid for your LOVEly comment! What a wonderful post and I LOVE that you have been so open about your relationship with your husband. So true that there are times we really don’t like each other but that love does bind and allow one to work with and/or overlook the things that niggle. Thank you so much Michelle. I am glad you understand where I was coming from too. Many happy days celebrating love right back at you!! Thanks so much Sandra. Those pics were for an ABC Compass TV show called For Better For Worse …and whilst we were not part of the interview group (phew) our story and pics went on line. So, that is the compilation. I too love it! I just love that shot of you and your husband ‘then’ and ‘now’. It’s perfect. Those ABC TV producers at Compass knew what to do when they made the request from For Better For Worse? Whilst we weren’t part of the TV program itself, it was a good thing to do as a couple! Mind you, husband was not that keen to keep posing for our daughter to take the shots back in 2015! Thanks so much Leanne, yes I agree. Many a time we both could have decided to call it quits but…we did not and we are here loving each other through those times still. Glad you liked the link up today! Love means many things to me too. My family fill me full of love to bursting. Oh Maria, that IS beautiful. Thank you for your comment! Much love back to you! I love the love is patient reading at weddings. I also love your photos. Thanks Ann for the LOVE of this post!! Much appreciated. I might have a lot of lessons to learn from you about love. 46 years together (and counting) is amazing! Indeed. And I hope that each of those 365 days is wonderful too! Denyse. Loved your then and now photo, Denyse!! It’s funny how quickly time goes. I’ve spent nearly a third of my life with my husband now! Oh wow. Yes, when you look back and start counting like that it can be amazing! Thanks for the comment on the pic. It’s pretty special to us too. 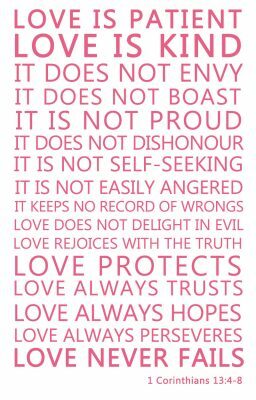 My favourite scripture and we had it at our wedding too. Isnt it? LOVEly words from the Bible.